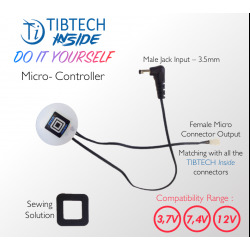 A multi-function micro-controller!The micro-controller TIBTECH Inside fits all your applications! Flexible, Ultra flat and easy to sew, it will position there or you want! With its 3 power levels,it will perfectly fit your needs!It has the advantage to work on a wide window of tensions: from 3 to 12 volts! Luminous White LED yarn : Very flexible (sold 2m long, pre-connected with a 70cm yarn and a Jack) Pitch between each LED : 6cm Color : WHITE Compatible with our Lithium-Ion Battery 3.7V/600mAh, or with our Mini Power controller device for LED yarns. "The specialist in metallic fibers and energy transfer or storeage within flexible or composit structures"
TIBTECH is proud to introduce you its new online merchant website "Textile SMARTSHOP" in order to be more accessible and for more technical innovations. This web site is dedicated of samples and small quantity for trials, and it was created to let you free of your creativity. 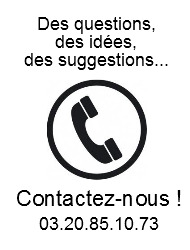 This website is also dedicated to improve our contact with industrials and for their projects of prototype. For a big order, we remain available by the common way of TIBTECH Innovations. All TIBTECH Team is ready to help and to advice you for conception or supply of products you need, whatever the technology you work with.